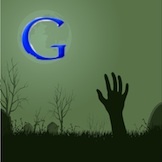 When Google launched Google+ to the world back on June 30, it limited usage to a small community of users. Unless after dropping your name in the hat you were accepted outright by the search mogul itself, the only way you could get in was by receiving an invitation from a friend. That has all changed as Google recently did away with the invitation-only program and opened the new social platform up to anyone who wants to join. As it turns out, this was a wise move. Data from Experian Hitwise reveals that Google’s decision to open Google+ to the public resulted in a huge traffic spike over the one week period of September 17 to September 24th. To be exact, its research shows that the site enjoyed an unbelievable 1,269% jump in traffic. According to the Hitwise Social Network and Forums category, this put it as the third most visited social media site behind Twitter and of course Facebook. What’s so impressive about all this is that it doesn’t even account for all the people that visit Google+ through mobile phones or the notification bar that alerts the user of activity via other Google products. Extending the new social network to any and everyone seemed to momentarily pique the interest of the curious, but apparently it wasn’t enough to keep them around. Data compiled by Chitika Insight, the research division of internet advertising company Chitika, found that after experiencing that huge boost in traffic, the site’s traffic dipped by more than 60%. So what gives? Why are the traffic statistics on Google+ resembling such a turbulent rollercoaster ride, and why are some still hailing it as the next big thing while others are already shoveling the dirt and preparing for what they feel to be an inevitable memorial service? Chitika’s research team believes the reason is that despite having a few unique features here and there, Google+ does not currently have enough going to stand out from the competition. In the sense of providing a place for users to engage in a community setting, Google+ really is no different from the average social network. However, different is what it strived to be from the very beginning. The platform gave us a new approach to friends in Google Circles, in addition to group video chats with Hangouts. It wasn’t long before Facebook countered with Skype integration and, more recently, smart lists, to combat Circles. One could argue that Facebook has made Google+ less relevant all by its lonesome. If you have been tracking the progress of Google+, you may know that it is already on pace to be the fastest growing website ever. The site racked up 25 million users in less than two months, a milestone that it reached faster than MySpace, Twitter and even the mighty Facebook. The latest data shows that Google has roughly 43 million users, which is impressive no matter how you look at it. Will this number continue to climb? Some are not so optimistic. Paul Tassi, a contributor for Forbes.com, called Google+ a failure regardless of its record-setting performances in the traffic department. He actually used Bing’s lack of uniqueness in comparison to Google as an example of why it will never win the battle. Furthermore, the folks at Chitika Insights mentioned that the platform could easily get left behind if it can’t match the fast growing reputation and innovation of Facebook. No one really knows the fate of Google+, but if it wants to keep pace, it will have to find a way to keep the user base engaged for the long haul.